He who Kills the Dragon is the fourth book by Swedish author Leif G.W. 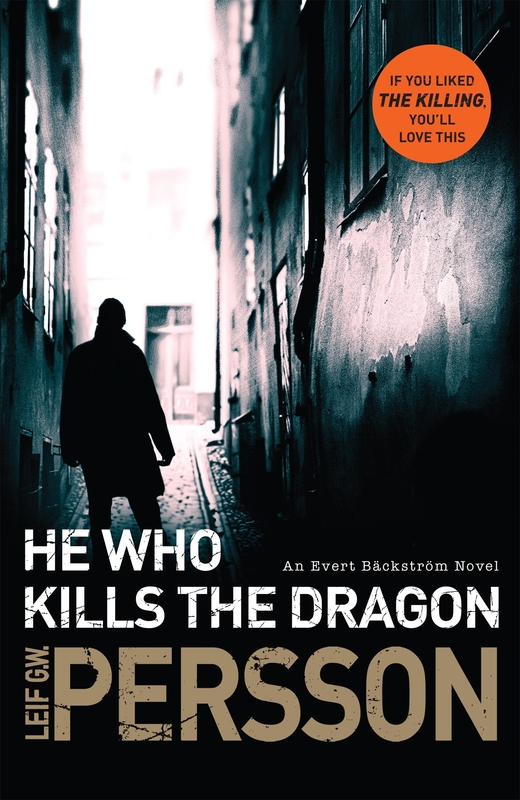 Persson to be translated into English and again features Detective Evert Bäckström, perhaps the least likable hero (if such a term can be applied to Bäckström) in modern detective fiction. He who Kills the Dragon is a black comedy. As Bäckström struggles with a new exercise and diet regime order by his doctor, he and his colleagues are called in to investigate a murder. For Bäckström’s colleagues there is the hope that Bäckström, newly reinstated to the murder squad, will fail. For Bäckström there is the certainty that this is another crime perpetuated by homosexual, vegetarian, foreigners seeking to undermine all Swedish society. Unfortunately for his colleagues Bäckström’s luck is as large as his beer gut and the case is solved despite Bäckström’s involvement. Persson’s Bäckström novels are wonderful satiric, extending to the murder mystery the almost universal office experience of having to work with the human health hazard. Persson gives equal time to Bäckström and his colleagues showcasing their mutual loathing and mistrust. I can happily state that knowledge of previous Bäckström novels is no barrier to enjoying this book; in fact it whetted my appetite for other books by this author to see why Bäckström was so loathed. If you like your murder mysteries with a touch of humour Persson is an author to seek out and He who Kills the Dragon is an excellent place to start.